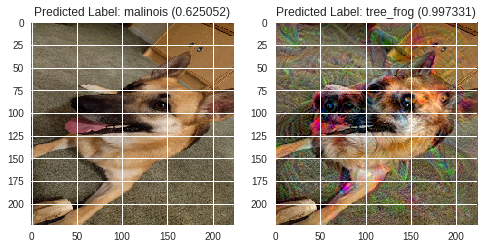 Adversarial images are images that fool state of the art image classifiers, but human would easily classify the image as the proper class. 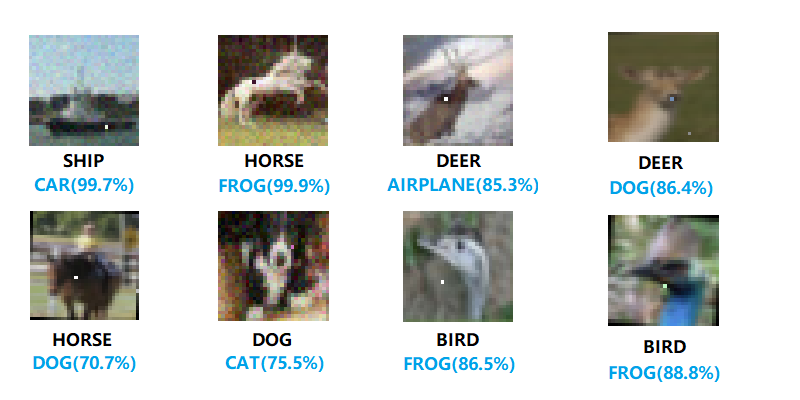 At present, these images are only possible with access to the classifier you aim to fool. One of the most classic adversarial attacks is no other than the one proposed by Goodfellow et al. Let x be the original image, y the class of x, θ the weights of the network and L(θ, x, y) the loss function used to train the network. 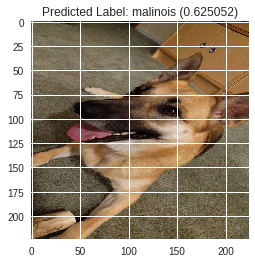 First, we compute the gradient of the loss function according to the input pixels. We are only interested in the sign of the slopes to know if we want to increase or decrease the pixel values. We multiply these signs by a very small value ε to ensure that we do not go too far on the loss function surface and that the perturbation will be imperceptible. This will be our perturbation. Our final image is just our original image to which we add the perturbation η. We first initialized the tenserflow instance. 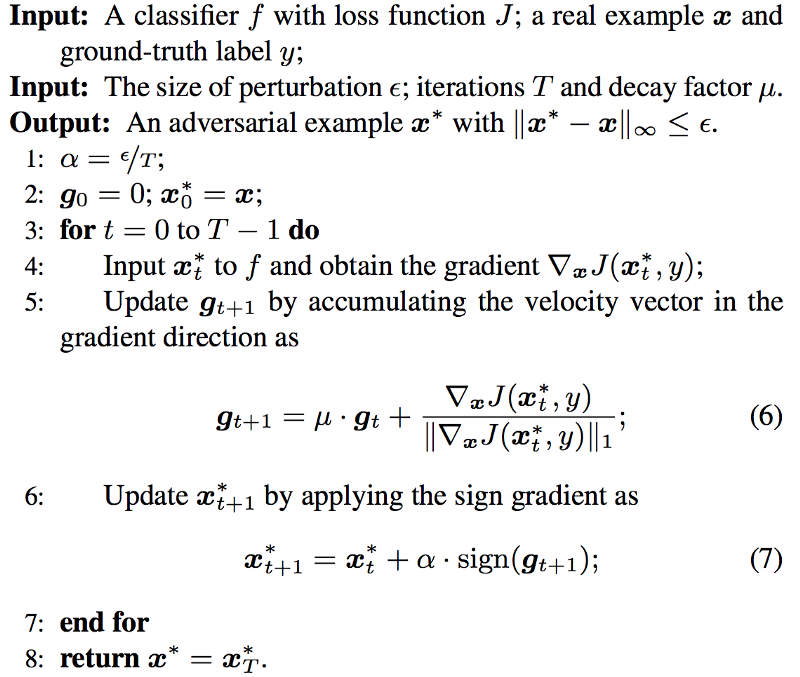 Utilitiy Functions Implemented by referencing keras source code. # Util function to convert a tensor into a valid image. # Compute the gradients of the dream wrt the loss. Comparison between predict and outcome. One pixel attack for fooling deep neural networks, Jiawei Su et al. 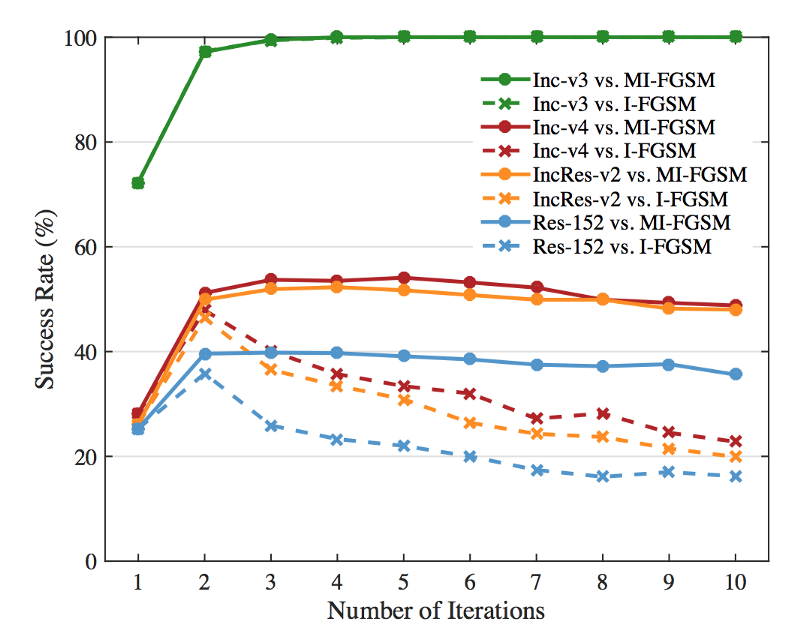 This method makes use of momentum to improve the performance of the iterative gradient methods, as described in the following algorithm. Momentum psudocode, adapted from the origional paper. The results show that this method outperforms all other methods in the competition and shows good transferability results, performing well in black box attacks as seen in the figure below. Momentum result, adapted from the origional paper. The high level representation guided denoiser is built on the principle that the adversarial pertubation are amplified throught the network. So the team introduced several high level denoiser such as a feature guided denoiser (FGD), a logits guided denoiser (LGD) and a class label guided denoiser (CGD). A pretrained CNN is also used for the guidance of the denoiser’s training process. For example, the FGD use the response from the last feature layer of the CNN in order to improve its denoising ability. Similarly, the LGD use logits activation of the CNN and the CGD use the classification output. Denoiser architecture, adapted from the origional paper.